Home tourism A Secret Hill Hideout For The Slow Traveller In You! A Secret Hill Hideout For The Slow Traveller In You! Darjeeling is too crowded. Kurseong is too quiet. Somewhere in between lies Kalimpong, offering a slow and immersive travel experience. Check into a plush heritage hotel in town or choose a comfortable homestay in any of the mountain hamlets for an escape from the hectic sightseeing and enjoy your holiday in a more relaxed surrounding instead. Located in the northern part of West Bengal, Kalimpong is about 50km by road from its more famous neighbour Darjeeling. 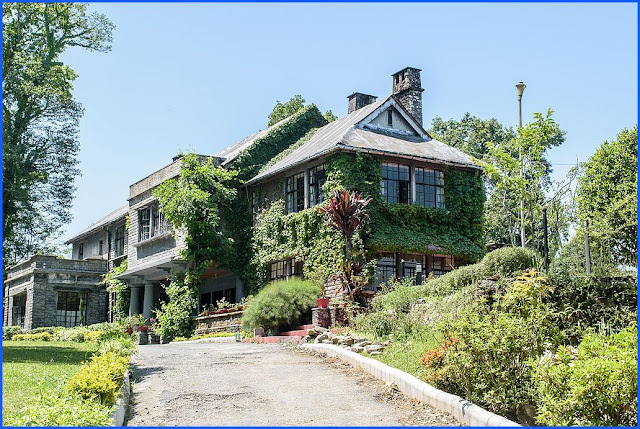 Your slow travel through Kalimpong can begin with a stay at one of the old luxury hotels which nestle among the pine-clad slopes, away from the bustling town centre. Located on the Upper Cart Road is the Himalayan Hotel. Once upon a time Kalimpong was a flourishing trade post on the Trans-Himalayan route and a strategic town for British India. The Himalayan Hotel is the former home of a British trading agent (who had served in Tibet) and author David Macdonald. After his retirement in 1924, he converted a part of his house into a luxury hotel. The Kalimpong Park Hotel on Rinkingpong Road is the former residence of a former Bengal royal family from Dinajpur. With the snow peaks of the eastern Himalayas, topped by Mt Kanchenjunga, etching its skyline, Kalimpong sits easy between two hills, Durpin and Deolo. Built atop the Durpin hill is Morgan House, once the home of a wealthy British jute baron. Built sometime around 1930, it is now a luxury hotel run by the state tourism department. From here, you can catch a panoramic view of the snow peaks, on a clear day. Writers have praised the spectacular sunrise seen from here. Located on the same hill is the Zong Dog Palri Fobrong Monastery built in 1937. Spend a relaxing hour exploring the monastery, enjoying the sight of the mountains from the roof and a glimpse of the rivers and springs flowing through the valleys below from the view point opposite the monastery. Being on the trade route to Tibet and other Himalayan nations, Kalimpong attracted many Christian missionaries who wanted to use the traditional route as a means of furthering their religious cause. On way to Deolo Hill, you will come across Dr Graham’s Homes. The orphanage and school set up by the Scottish missionary Dr John Anderson Graham opened in September 1900 and was gradually expanded. With permission you may visit the Homes Museum housed in the Murray Cottage and the Katherine Graham Memorial Chapel (inaugurated in 1925). 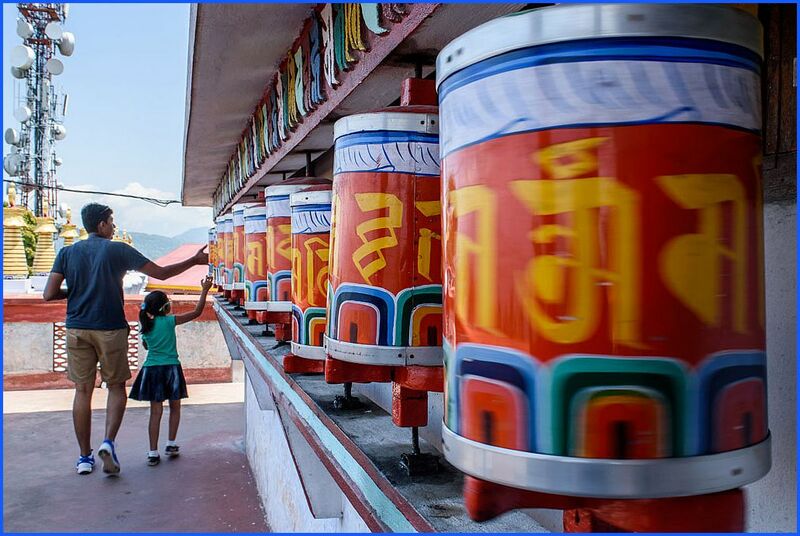 The hill is also shared by the Tharpa Choling Gumpha built in 1837 and the reservoirs supplying drinking water to the region. Pack in a Wednesday or a Saturday into your itinerary if you want to catch a sight of Kalimpong’s weekly market, reminiscent of the old trading days. Also, not to be missed is a visit to any of the many flower and cacti gardens and nurseries that dot the town. Kalimpong is also the gateway to several tiny villages lying off the beaten tourist track. Located about 35km away by road from Kalimpong is Lava village while Lolaygaon is further 25km away. Apart from scenic mountain views, the region is also known for its birds and butterflies. There is a Nature Interpretation Centre in Lava, which is also the gateway to the Neora Valley National Park. In Lolaygaon, try a canopy walk across the hanging bridges within the forests of cypress, oak and fir trees. Lava and Lolaygaon are relatively well known in the region and offer a mix of hotels and homestays. If you are not loathe to give up the frills of a luxurious stay, you may try out places such as Pedong, Rishop, Icchegaon, Ramdhura, Sherpa Gaon, etc. These hamlets tucked inside the hills offer mountain views and trekking opportunities. The village homestays offer comfortable lodgings, home cooked food made from locally grown produce and opportunities to learn about the lifestyle of the local hill tribes. Getting there: Kalimpong is nearly 70km by road from Siliguri, 50km from Darjeeling and 75km from Gangtok. The nearest airport Bagdogra is 76km away by road. New Jalpaiguri railway station, with onward connections to rest of the country is 75km away by road.